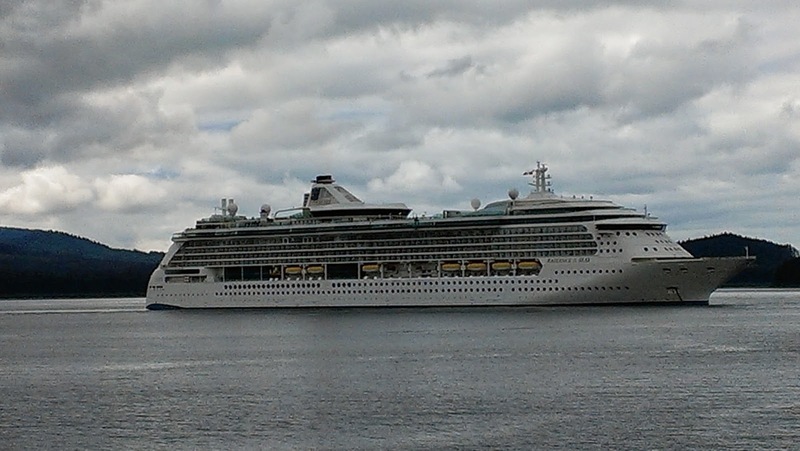 We sailed this ship several years ago, so we were looking forward to seeing how Royal Caribbean added some of the Oasis class features in the recent remodel. Ship – Overall the public areas of the ship are in good shape, and it is a beautiful ship. This class of ship is perfect for cruising Alaska with windows everywhere, including exterior glass elevators to enjoy the view! Exterior of the ship’s hull definitely needed some Rustoleum and a new paint job. The ship never felt crowded and wait times for elevators seemed less than on other cruises lately. 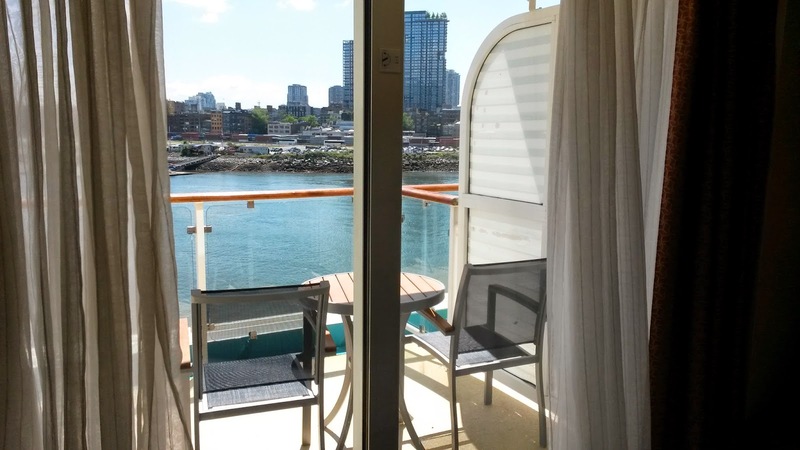 Cabin Appearance – We had cabin 7530 which is one of the cabins that have an extended balcony on deck 7 which was perfect for this itinerary. The cabin had plenty of storage space and was well laid out. The hidden storage areas above the desk/behind the mirrors are a nice surprise if you find them! The cabin had a small refrigerator and a safe. However, when you get to the details, we did notice some areas that needed work. For instance, on the balcony the dividers were painted sloppily to cover areas that had worn off (allowing you to see to the next balcony) and the backside of the drapes were worn out and falling apart. We were surprised to find that they removed the sliding doors of the shower “tube” and replaced it with a flimsy curtain that did absolutely nothing to keep the water in. Our floor was flooded with every shower. The curtain was too short and hung with basic wire hooks connected together. Entertainment – We elected not to attend most shows, but we did attend two. One was a featured performer named Finis Henderson who was a combination singer/impersonator. He was extremely talented and entertaining. We cannot say the same about the production show – City of Dreams. The singers and dancers were talented, but the selection of material and the choice of musical arrangement was bizarre. Others in our group enjoyed the other production show, Piano Man, and the show featuring John Joseph & Johnny B. 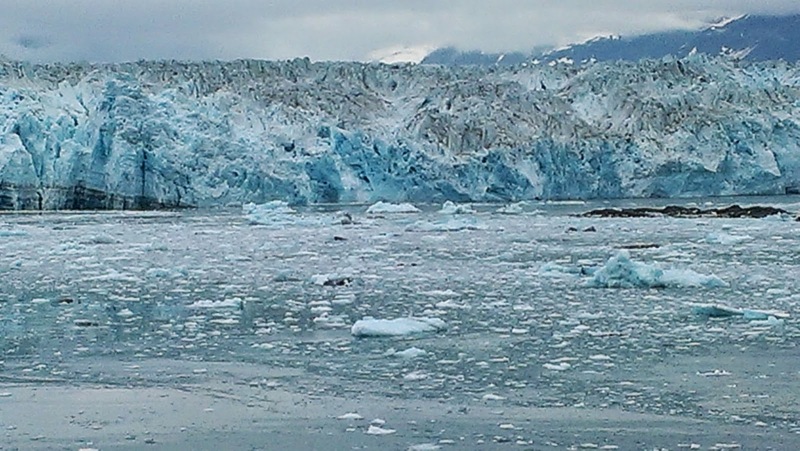 Activities – They offered plenty of trivia and other activities including Glacier Ice Carving from a piece of glacier ice that we watched crew members retrieve from the waters by Hubbard Glacier. Bingo was popular as well as the gift shop Sale of the Day. We appreciated that there were several onboard lectures pertinent to the itinerary but, for some reason, we missed them all. They sounded really interesting though! The Cinema of deck 6 is a real movie theater and showed some great movies throughout the week. Food, Dining Room – We always ate in the main dining room for dinner and had late seating. 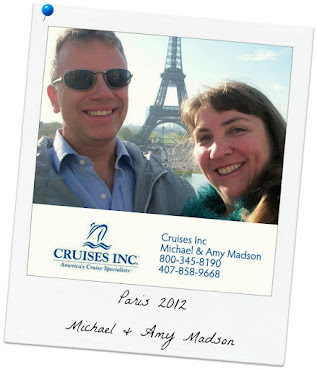 Unlike other cruises, we never felt that we had to miss the entertainment due to late seating. Some days our shows were before dinner and sometimes after. Overall we would give the food a solid “B”. Nothing fabulous, but nothing terrible. Some of the best entrées were the Chicken Marsala and Carved Filet of Beef Tenderloin. Lunch in the dining room was great with the Brasserie 30 concept. 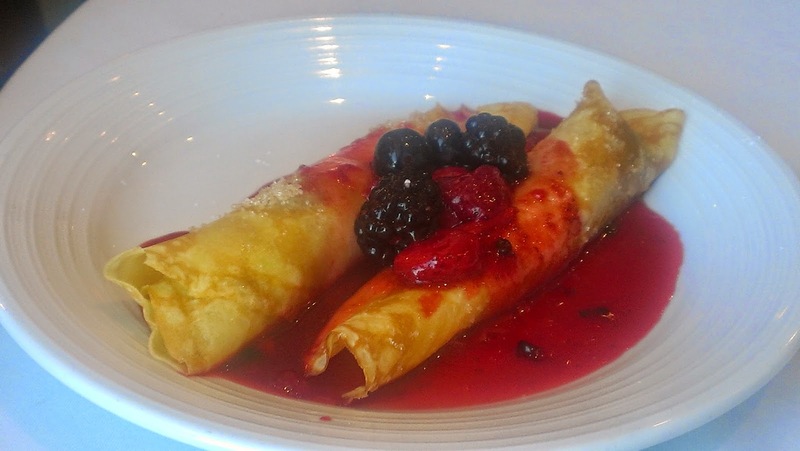 The select-your-own Tutti Salad station was excellent and the best dessert was at lunch: Warm Cherry Custard Crepes! Delicious! Honestly, it beats Carnival’s Warm Chocolate Melting Cake – hands down! 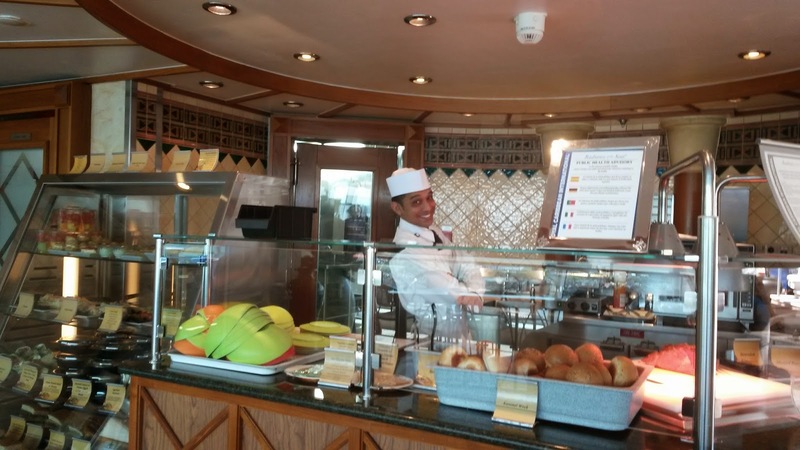 Food, Buffet/Other – The standard buffet was nothing special and Royal Caribbean has not changed its breakfast buffet fare in 20 years! 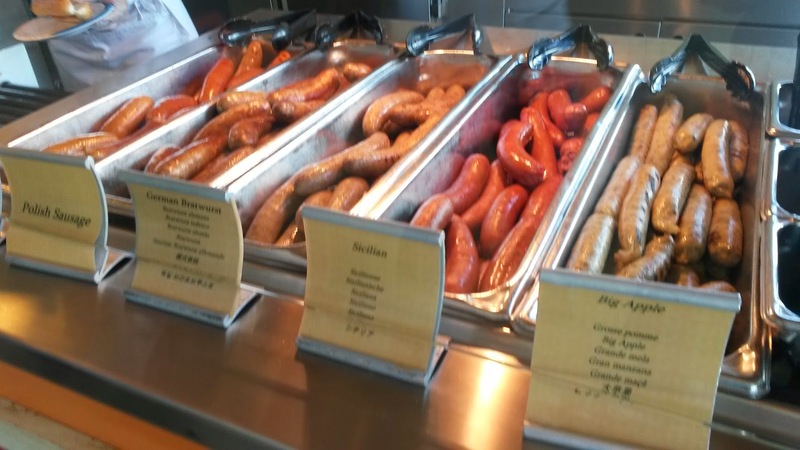 Fortunately, the Boardwalk Dog House offered delicious sausages and Park Café offered a great made-to-order salad bar and Roast Beef Sandwiches. Breakfast was a good choice in Park Café as well, better than the main buffet. Room Service – Excellent service and quality. We held a happy hour in our cabin and ordered fruit & cheese plates and cookies that were delivered promptly. On Hubbard Glacier day, we ordered hot tea and pastries and were surprised to get Hot Cocoa as well. Bars/Lounges – Overall the bars and lounges were completely under-utilized and rarely staffed throughout the week. The Quill & Compass pub was an awesome venue that had a guitar player some evenings, but the staffed hours were limited. As always, the Schooner Bar was the main hangout along with the Centrum where they held many activities and musical acts. The Champagne bar got some action before dinnertime, but mainly there were people sitting there throughout the day to enjoy the beautiful views. The dark-wooded Colony Club was rarely used except for Bingo and the Art Auctions along with the past guest party. It is such a nice room; they should do more in there. The self-leveling pool tables are awesome and were in play often. 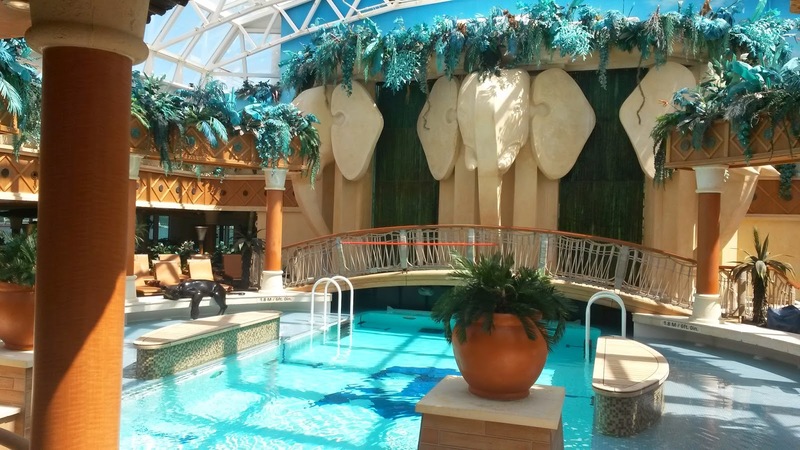 Solarium/Spa/Gym/Pool – The Solarium was busy on sea days and in the afternoons after port. It is a very nice, warm and relaxing area, so we understand the appeal. The Spa offered the typical spa services and had a sauna and steam room in the locker rooms. 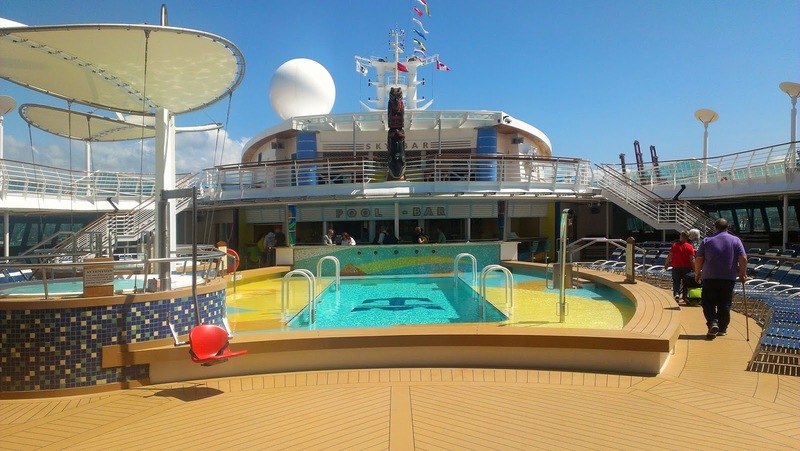 The Gym was well-equipped and pools and hot tubs were in use even though the weather was chilly on deck. Service – We had exceptional service in the Diamond Lounge and very good service at the other bars throughout the ship. Our dining team was efficient and friendly, but they did not go above and beyond. 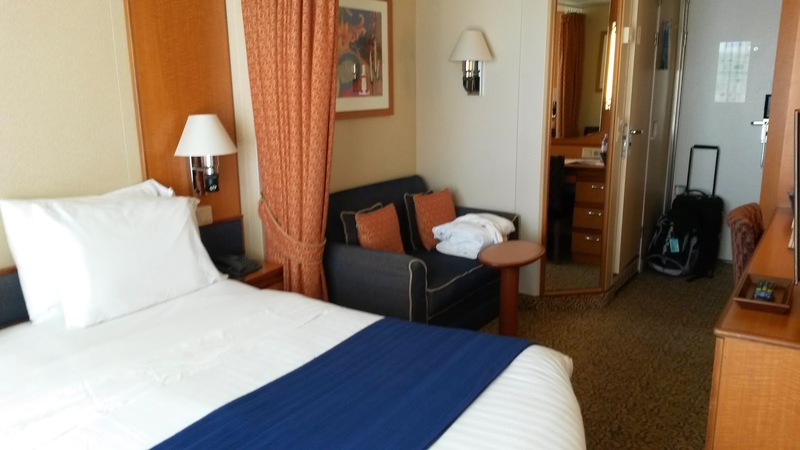 Our cabin steward was above average, but we noticed that we only got 3 towel animals in the week – which seemed to be less than on previous Royal Caribbean cruises. There were no chocolates on our pillows at night but we didn’t miss them and if it helps keep the prices down, then we’re okay with that. Officers – The Captain was very charismatic and the Cruise Director, Amy, did a very good job (don’t miss their cake building competition – very fun!). Overall, we did not see much officer interaction except at the past guest parties and during occasional pre-programmed activities. 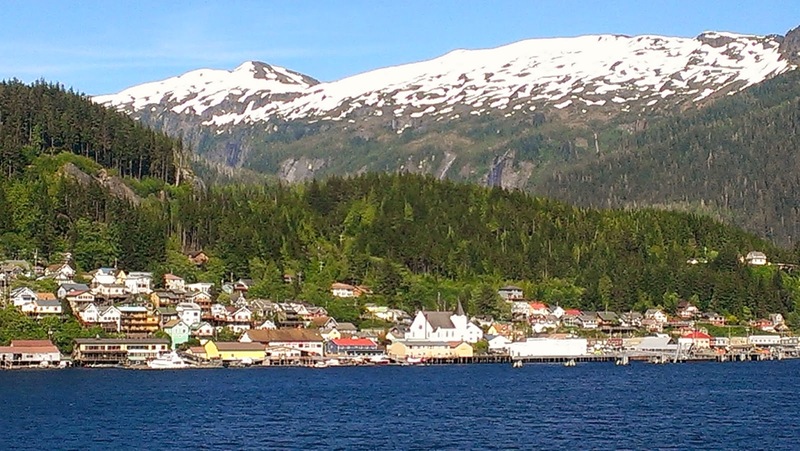 We departed from Vancouver and visited the ports of Ketchikan, Icy Strait Point, Juneau and Skagway before ending in Seward/Anchorage. We were fortunate to have beautiful weather in most ports and only light rain in Juneau. 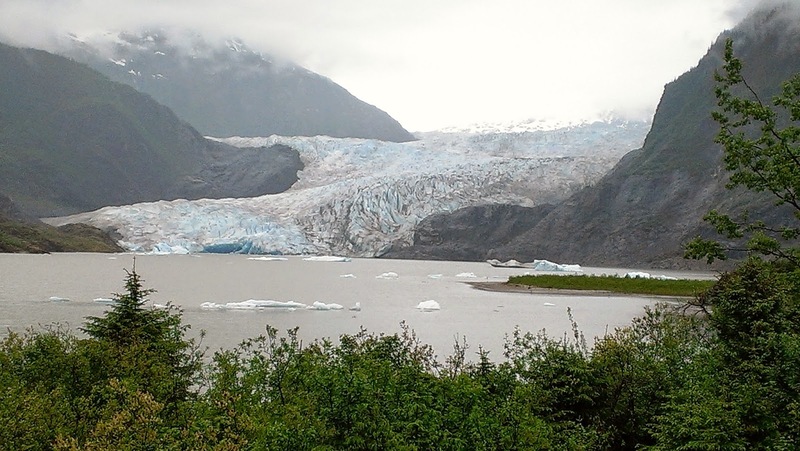 This was our third visit to Alaska, so we have done a lot of the “big” excursions like Helicopter Glacier landings and Whale Watching on past trips. This time we did things differently. Vancouver – We had one night pre-cruise hotel at the Best Western Plus Downtown Vancouver on Drake Street. The hotel was in excellent shape and overall the staff was fantastic! 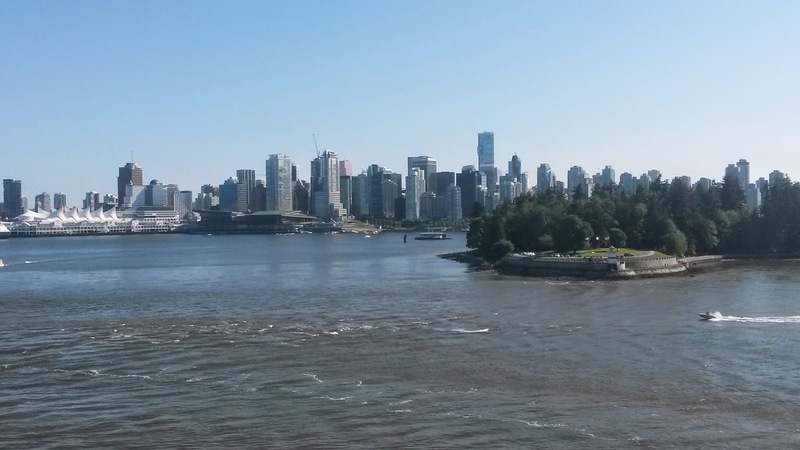 We only had one evening to enjoy the city, so we took a taxi to the Gastown area to explore. We ended up dining at SteamWorks right near the pier. After exploring the area for a while, we decided to walk back to the hotel which took us about 15-20 minutes. The hotel has a complimentary shuttle to the pier, but you had to reserve same day starting at 7am. We were in the lobby at 6:45am to ensure we got the coveted 10:30am pier shuttle! Even though the hotel had a White Spot restaurant in the lobby, we walked to Tim Horton’s for breakfast just a few blocks away for some yummy steeped hot tea and breakfast sandwiches. 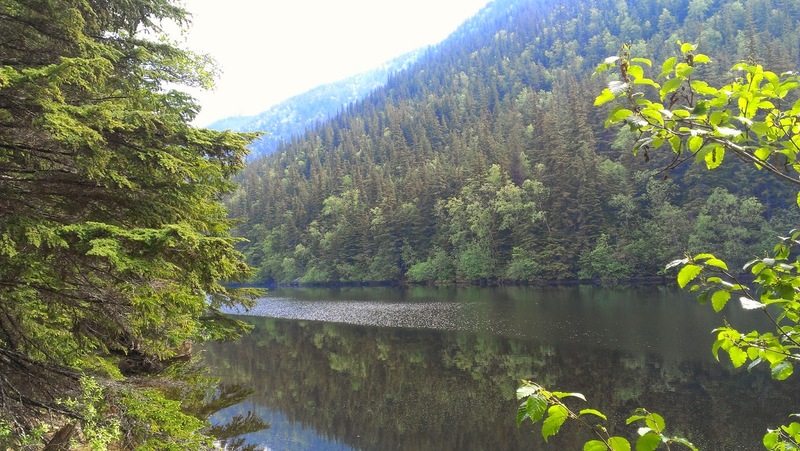 Ketchikan – Here we did the Ketchikan City Tour with Saxman Native Village. The information was good and the totems were cool, but we had a really boring guide, so it wasn’t the best tour overall. The tour ended at Creek Street which is always a fun place to walk around, and it included a visit to Dolly’s Museum. We walked around town after that and found a local’s hangout called the Asylum to enjoy a beverage before heading back to the ship. Icy Strait Point – We elected to walk to the town of Hoonah instead of taking a tour in Icy Strait. There is a wonderful path along the water almost all the way to town or you can take a shuttle for $5 roundtrip. 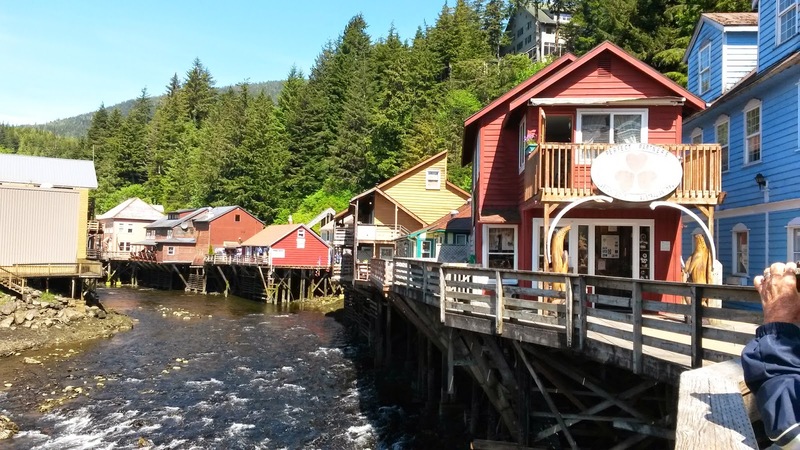 At the recommendation of other guests on board, we found ourselves at a local establishment called The Office where we met the Town of Hoonah’s Vice Mayor and owner of The Office. The view was awesome, and we saw lots of whales and eagles from here. Plus we got to meet some of the locals who are very interesting people! The local halibut fish and chips was excellent, too! 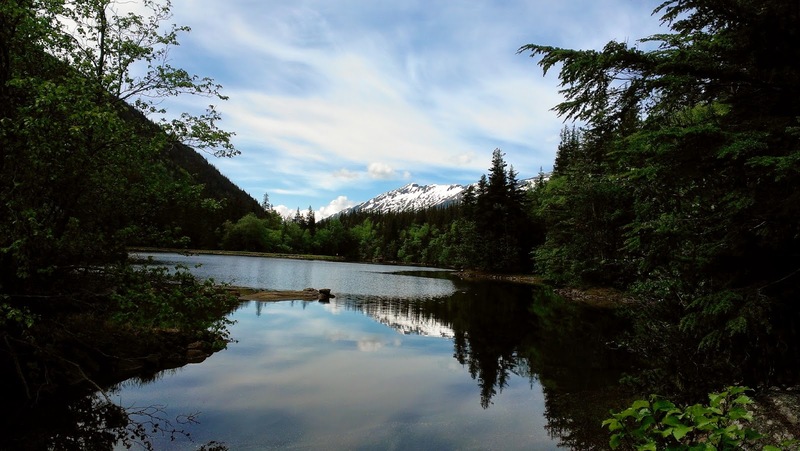 Juneau – We walked downtown to the State Capital Building and took a free tour which was very interesting. Then we visited a few of the many souvenir shops in town. In the afternoon, we took the Mendenhall Glacier Express Shuttle $20pp roundtrip to Mendenhall Glacier. Because we were on our own timetable, we walked several trails and hiked out to the waterfall. This was a lot better than a rushed tour stop with 50 other people!! 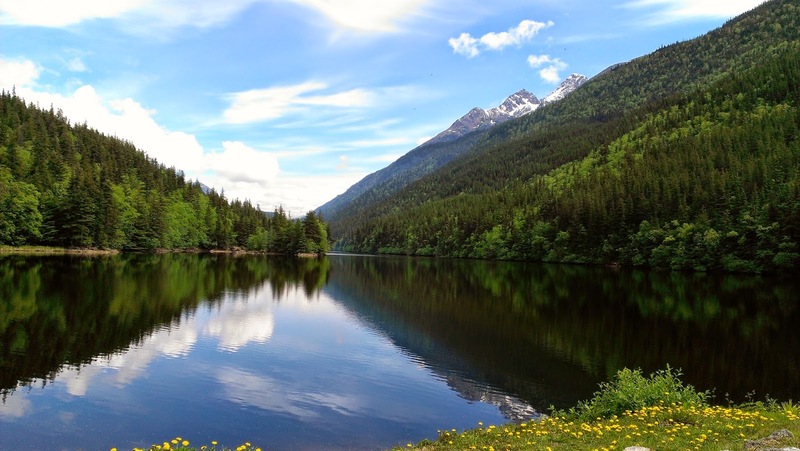 Skagway – Probably our favorite day of the trip. We hiked a trail (a bit difficult uphill at first) out to Little Dewey Lake and were treated to some of the most beautiful views imaginable. After the hike, we walked around town visiting the Moore Homestead and caught up with friends in the Bonzana Bar and the Red Onion before returning to the ship just in time! 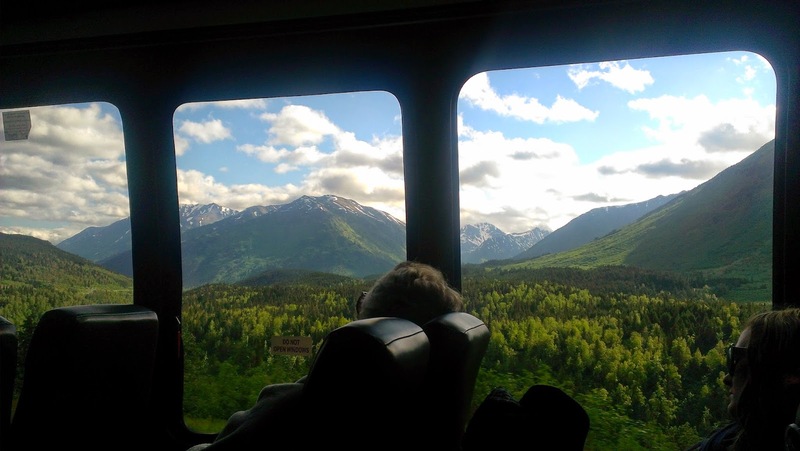 Seward/Anchorage – We arranged a custom tour/transfer for our group from the ship to Anchorage that included a 90 minute stop at the Alaska Wildlife Conservation Center. Most of the tour/transfers stop here, but only for about 45 minutes. The AWCC is so spread out, that you need more time than that to see all the animals. Even with 90 minutes, it still wasn’t enough in our opinion. Anchorage – We stayed at the gorgeous Historic Anchorage Hotel on E Street (right next to the Hilton). The hotel was one of the least expensive properties available in downtown, but it was wonderful. They staff was extremely courteous and helpful, the rooms were well appointed with wonderful beds. One of the coolest things about the hotel is that it is said to be haunted! The City of Anchorage is easy to navigate with many restaurants and parks within a few blocks of this hotel. Some of our top picks – SnowGoose for outside patio views of the water and mountains, Glacier Brewhouse for good food (a little pricey), Humpy’s for halibut tacos and their Bloody Mary bar, and Nene’s if you want to try some Russian dumplings! 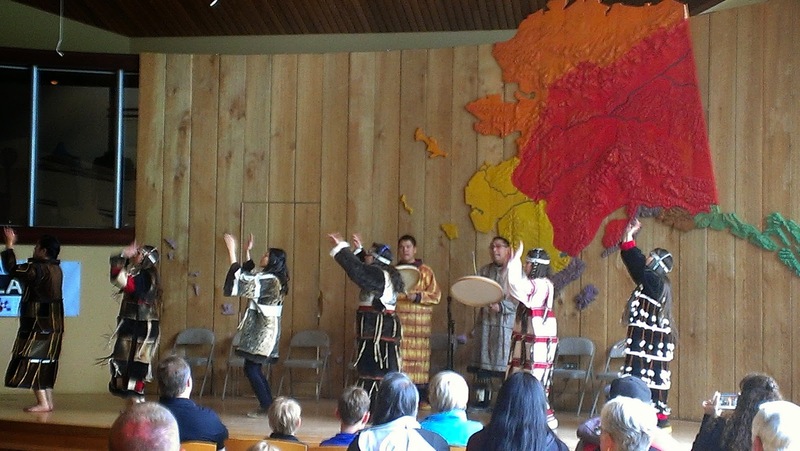 Our visit to Anchorage included a taking a free shuttle the Alaska Native Heritage Center where we learned more about the history, people and culture of this great state. In addition, we enjoyed a free concert in the park along with the locals, and were fascinated by the Land of the Midnight Sun! When it was time to head home, taxis to the airport are only about $20, and it takes about 15-20 minutes. 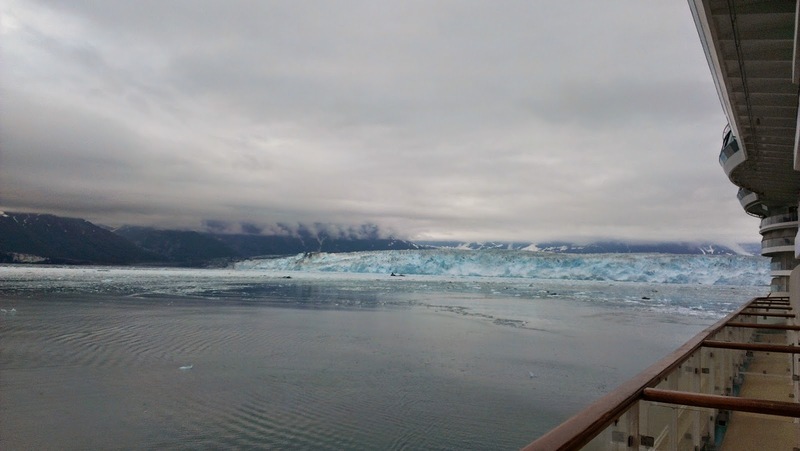 For some, Alaska is a once in a lifetime experience, but for us it’s “When are we going back?” This was truly a great cruise overall, on a beautiful ship perfect for this itinerary.